Two chairs at left are Pilgrim Revival style chairs. Chair at right is Colonial: William & Mary Revival style. 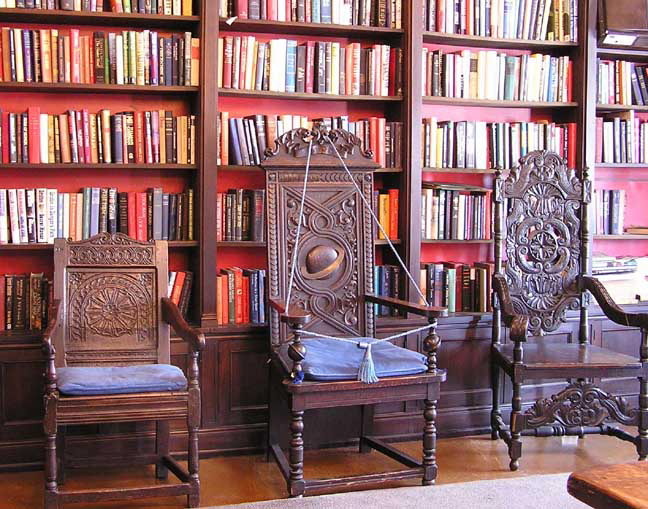 The center chair, used in the installation of new deans, was obviously made for the Saturn Club.